People love to pose for the camera, they like their photographs to be picture perfect more like that of celebrities. It is somehow funny that sometimes people are facing camera for the first time but still they want the photographs to be like fashion icons. For photographers and for posers, there is a little guide to be understood to get the better picture results. It depends on the posture, face look, smile and the style you carry when you face a camera before yourself. In the picture (left to right) the model is giving a straight look, with no expression or no smile, it is the worst pose one can do as being camera shy. 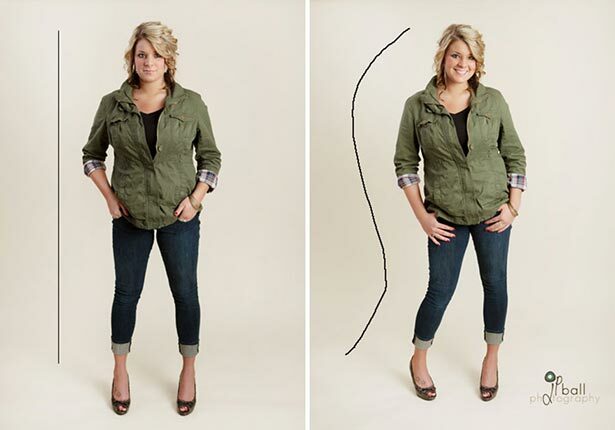 The model in the picture (right to left) is perfectly posing for the camera, with a smile on her face and tilting her leg instead of standing straight. The photographer should not click the close up, it actually amplifies the flaws of the model. Capture the snap from a decent distance so neither too big face nor too thin posture shall be highlighted. In the picture (left to right) the model is again giving a straight look to the camera therefore her face looks bigger, not only that she also looks bulky this way. 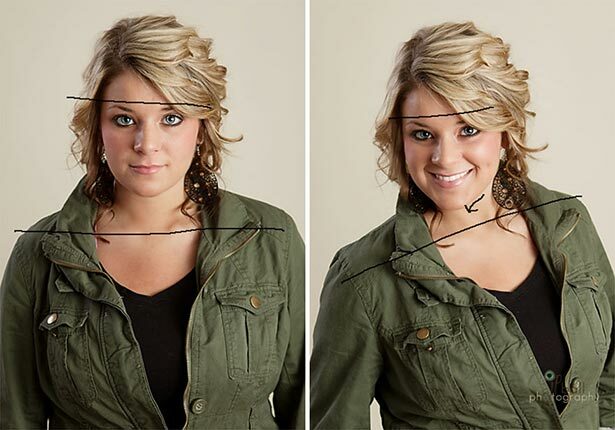 The model in the picture (right to left) is tilting her face a little bit to the side so her face sleekness gets evident. It is more like “chin down” the right way for the right face shot. A good photograph is also the magic of a photographer, it is on him too how he makes the model look like. He should make the model comfortable so she carries out her posture confidently. In the picture (left to right) the model is sitting with her left leg bend, giving a straight posture. It is making her look fatter. 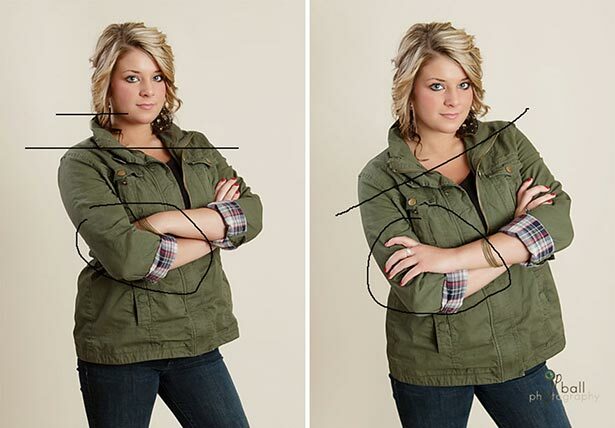 If she slightly turns to the other side and tilts her posture sideways it will make her look smarter as being shown in the picture (right to left). The photographer should not capture the snap while standing if the poser is sitting on the floor because it will make her look tiny and short heighted like a dwarf, it is better if he himself sits and takes the shot from a little far so the model is well captured on the camera lenses. In (left to right) picture, the model is standing in a manly posture, a girl should look like a delicate creature and not a man who has a tough posture. In the picture (right to left) the model is posing like an elegant woman who is flaunting her confidence with a tilted delicate posture. 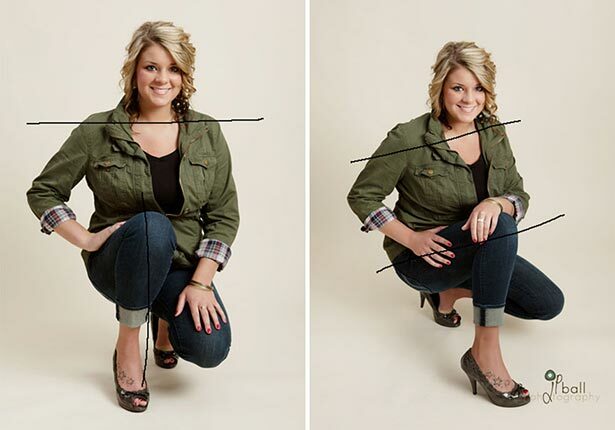 The photographer should make the right angle of the camera in the direction of the model, the lenses should be fixated on her entire posture rather than highlighting a significant part. 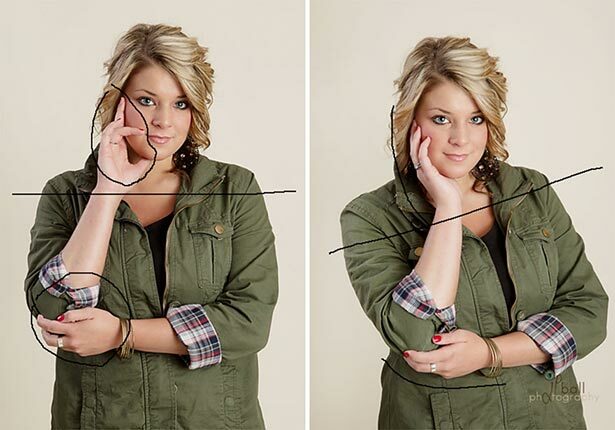 In the picture, (left to right) the model has wrongly placed her fingers on her cheek, which is not looking natural it is more like a thinker posing for the camera. Whereas in (right to left) picture, the model is acting natural, and instead of looking like a thinker, she is looking innocent and bubbly. The photographer should make the model play with different expressions that look natural and not fake. Because intentional pose only looks weird and nothing else. 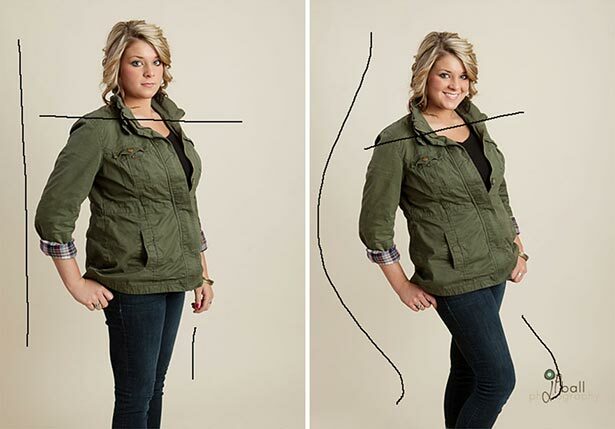 In the picture (left to right), the model is posing like a man having hands in the pockets. Straight pose is again not looking natural. In the picture (right to left) the model has carefully tilted her leg which is not looking fake or intentional, and the smile on her face is making her look like a stunning woman of grace. The photographer should go on the back foot and take the shot from the right possible angle so the model looks tall rather than tiny. I hope now you got plenty of ideas that how you can pose in front of the pro photographers, where on earth we have been living before? I wonder, because most of the many poses I have been making are faulty, jokes apart. But this is going to help me too, have a look!